I did it! 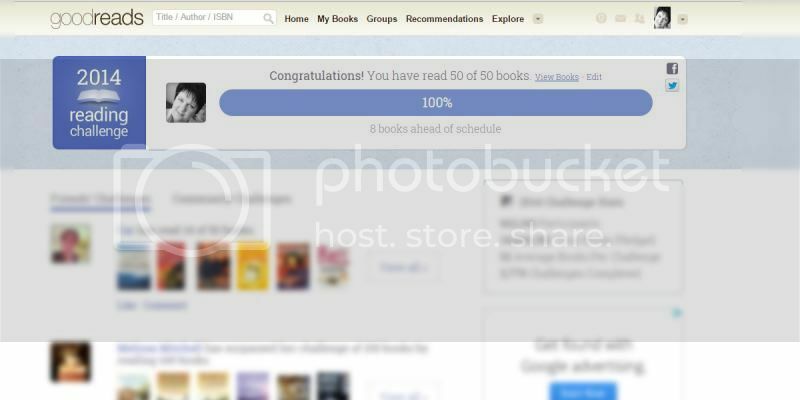 50 books in 10 months and 5 days. I'm so proud of myself and I enjoyed devouring each book and watching my number in the challenge decrease. I will set myself another reading challenge next year... as soon as I decide what kind of challenge I want to do. yeah! Wish I made more time for books....bring on the holidays!